CLEARING agents in the country’s border posts yesterday protested against plans by the Government to introduce a system that aims at clearing goods at the port of entry. The Government intends to implement an agreement with Common Market for Eastern and Southern Africa (COMESA) which would facilitate the clearing of goods and service at the port of entry. This is different from the current system where goods are being cleared at respective border posts where agents are actively involved. The Commerce, Trade and Industry Ministry intend to domesticate the agreement known as the COMESA Custom Regional Bond Guarantee Scheme. The COMESA Custom Regional Bond Guarantee Scheme was signed by the heads of states in 1990 at a COMESA summit in Swaziland. 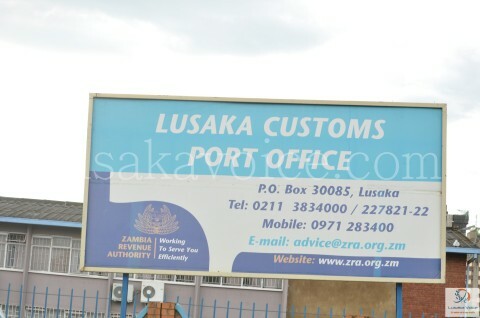 Zambia Revenue Authority (ZRA) spokesperson Mumbuna Kufesika confirmed the protest of clearing agents at Chirundu border post. Mr Kufekisa said calm had returned at the border post as the police managed to disperse the protesting agents and operations got back to normal. operations are back to normal,” Mr Kufekisa said. Earlier, the clearing agents also threatened to go on a countrywide strike following the Automated System for Customs Data (ASYCUDA) system used at border posts for clearing the goods and services. Customs Clearing and Freight Forwarding Agents’ Association of Zambia president Bruce Kaemba said in a statement that the Asycuda world system had been a challenge to agents from the time it was installed. Mr Kaemba said the agents were currently facing various challenges including slow internet connectivity which had forced entries like export documents to take five days from the previous one hour. “This scenario is very unhealthy for the clearing industry as the clearing process is now too slow while the reimbursement of the bonds by the system is equally slow, so are the acquittals of entries on this system take too long or are failing completely,” Mr Kaembe said.